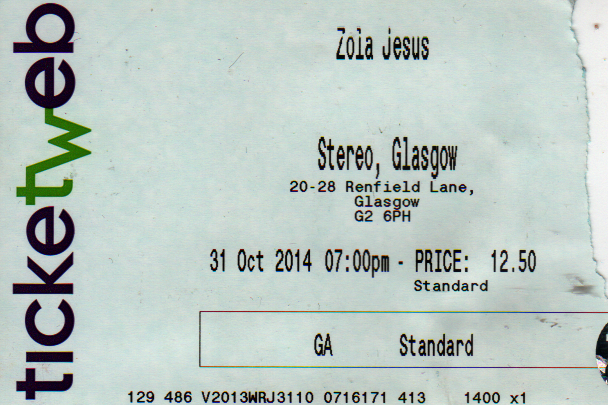 Fantastic gig by Zola Jesus at Stereo, Glasgow UK on Halloween 2014, great fun and Ms Nika Roza Danilova was on top form throughout, bit bouncier and more upbeat than the last time I saw her in Edinburgh, but that's not a bad thing! Apologies for the distortion in the audio when she hits some of the higher notes, did my best to fix it but the original audio is worse! She just has such a big voice for such a little person! PULSE at The Old Fruitmarket in Glasgow, October 3rd 2014. 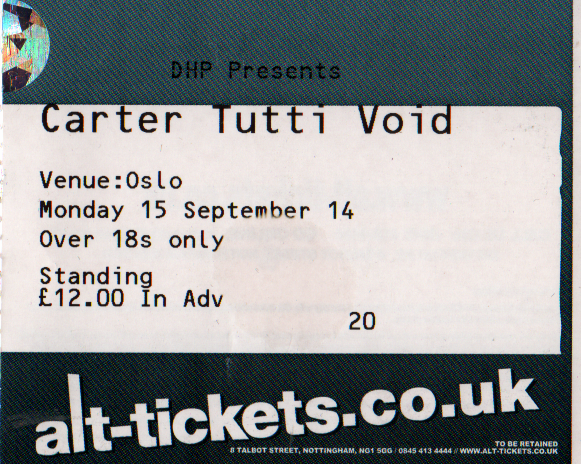 A great evenings entertainment, with FOUR artists/bands for a mere 10 quid! Sadly under-attended though (what's wrong with you people?) maybe it was the miserable weather. Headlining the night were the brilliant Wrangler , headed by ex-Cabaret Voltaire's Stephen Mallinder, also a great big beat driven and noisy set - and lots of flashing images and green LASERS!